Wispeco is committed to the upliftment and empowerment of its local community. 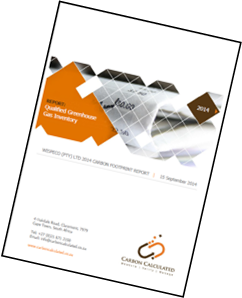 Various programmes have been developed and designed to support aluminium fabrication businesses and stockists. Wispeco Aluminium provides .3 learnership programmes on NQF levels 2-4, fabrication training, as well as Starfront training. This training is designed to support the aluminium fabrication business. 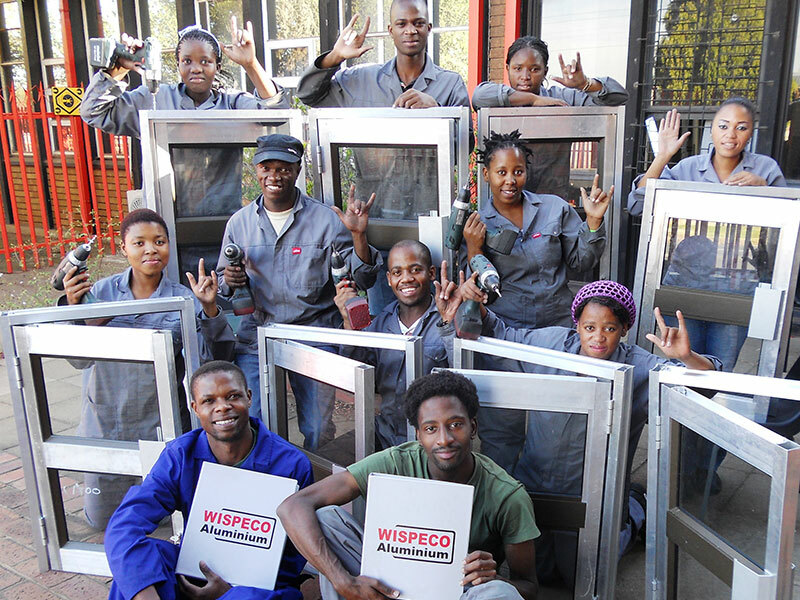 Every year Wispeco trains about 10 Deaf South African citizens from various provinces on technical learnerships. The minimum requirements are Grade 11 or NQF level 1. Classes have been running since 2007 and are presented with Sign Language. Every effort is made to find permanent placement for the learners after successful completion of the learnership. Entrepreneurs from selected provinces receive business and technical training to open and sustainably operate their 100% black owned business in their township or rural areas. More information supplied under the Spazal Initiative section. 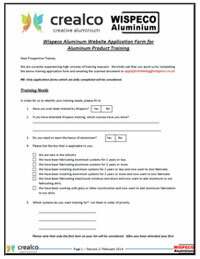 The latest addition to the Training Programmes is the Distribution Learnership to support Wispeco stockists. People with different disabilities are trained in various aspects of distribution, including stock control, packing and selling skills. Every effort is made to find permanent placements for leaners after their successful completion. The Wispeco Institute annually trains more than 600 people on many different Wispeco window and door products. This technical training has at heart improving the quality of workmanship on construction sites. Starfront is a locally designed and produced estimation and manufacturing software application designed specifically for the South African aluminium fabricator. The program is simple to use, accurate, regularly updated via the internet, and boasts a variety of features designed to ensure accurate and flexible design and costings. The system conforms to all aluminium and glass national building regulations and assists the user to determine the correct components for the required specification. Training is given for both the beginner and advanced user, across the country. Starfront is offered free to Crealco aluminium window and door fabricators. As part of Wispeco\'s initiatives to train and invest in young Black entrepreneurs, Wispeco Aluminium created a program early in 2006 called the SpazAL project. The main focus of the project is to penetrate the township and rural markets and at the same time empower and support upcoming entrepreneurs in the construction industry. The Wispeco Institute, with the support of the MERseta, presents a formal New Venture Creation learnership program to young unemployed people from previously disadvantaged communities in Gauteng, Limpopo and KwaZulu Natal. The purpose of this learnership is to equip entrepreneurs to start and manage their own businesses. In addition to the business training, Wispeco also introduces high quality technical training on the various Wispeco products. The practical technical training is done in workshops where the entrepreneurs learn to fabricate their own aluminium windows, doors, garage doors and showers. As part of Wispeco\'s drive to uplift and support young black entrepreneurs in the aluminium market, the company believes in kick-starting the new businesses. This is really putting your money where your mouth is! The top performers from 2007/2008 program were in the fortunate position to receive business start-up support. This support was in the form of ready-made workshops in shipping containers, tools, equipment, marketing material and brand new Toyota bakkies. Wispeco donated more than R1,3 million to the SpazAL business set-up program during 2008. The new businesses are coached and mentored for a couple of years in order to ensure their success and sustainability in the construction industry. Wispeco is proud of the achievements of the SpazAL\’s and continues to keep a close eye on the progress with of these businesses. The SpazAL name is a Wispeco-registered trade mark. The use of the SpazAL brand name is available by franchise contract with Wispeco. The aluminium business owner enters into an agreement with Wispeco for the use of the SpazAL brand name in a specific geographic region. In this way, Wispeco has established the brand name in Gauteng, Limpopo and the KwaZulu Natal Areas. The franchise agreement brings the advantage of Wispeco\'s marketing, technical and business mentoring support. The Wispeco approved products and systems are also available to the franchisees. Wispeco provides the aluminium businesses with marketing material, SpazAL sign boards, business cards, wall charts and the like. In addition to technical product support and assistance with quotations and tenders, the small businesses also receives access to Starfront, a computerized costing and cutting program which helps the user to optimizes production. In addition to the formal learnership, the Wispeco Institute also offers short courses in architectural aluminium systems to existing and prospective fabricators and contractors. After a brief theory session, each student practically builds the sample of his/her choice in a special training workshop. The training at heart wants to support quality standards as well as develop entrepreneurs in the aluminium industry. Training classes are offered in training workshops in Johannesburg, Durban and Cape Town. Simply choose the product you wish to be trained on and then book for the class. 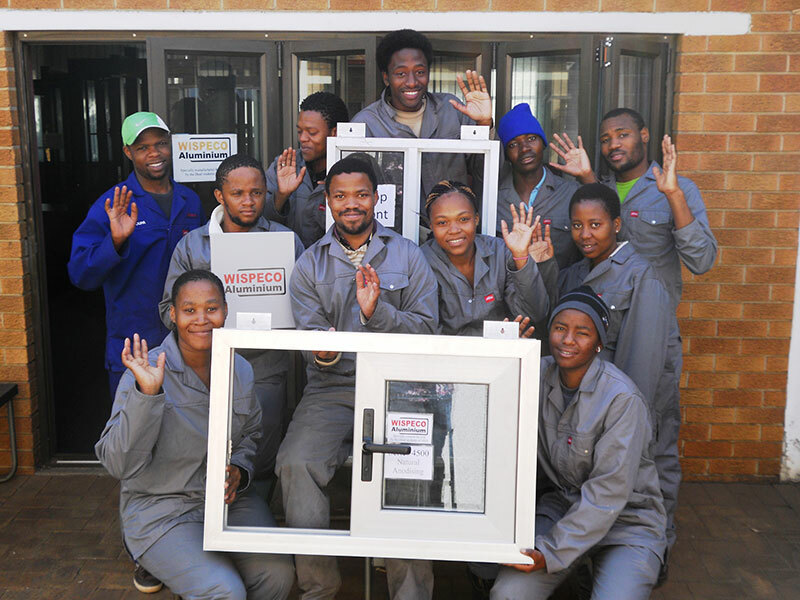 The Crealco products that are being trained are Wispeco Aluminium’s Façade 60 curtain wall system, Tilt and Turn window and doors, Casement Windows, Sliding Windows, Shopfronts, Sliding Doors, Sliding Folding Doors, Showers, Insect Screens and Hatches, Burglar bars and Balustrades. A new course focusing on basic workshop skills such as cutting, machining, safety and caring for workshop equipment has just been introduced. The Wispeco Institute forms part of Wispeco Aluminium. The school and SpazAL initiate is managed by Melissa Botha. Wispeco thanks Remgro, its shareholder for its continued support in stimulating the South African aluminium industry and uplifting the local community through the ventures of the Wispeco Institute. 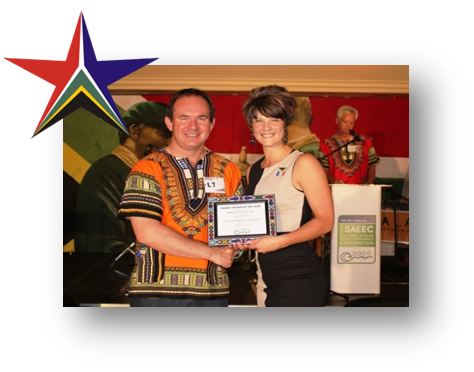 In March 2013 Wispeco was recognised for their leadership and achievements through the implementation of resource efficiency and cleaner production by the NCPC-SA. 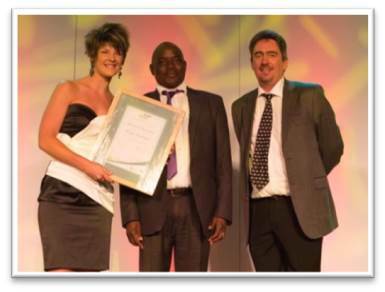 Wispeco was the proud recipient of the Productivity SA regional and national awards in 2012. Wispeco has been awarded EcoSpecifier accreditation due to the large recycled content in its aluminium products. Our product has been assessed by Ecospecifier and meets the criteria to be listed as a member of their association. A pre-assessment was conducted by the GreenRate Green Building Scheme and the product was found likely to contribute to the achievement of Green Building rating tool credits.